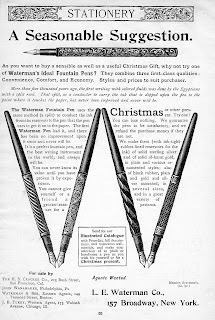 Vancouver Pen Club: Waterman Ad. 119 years old. 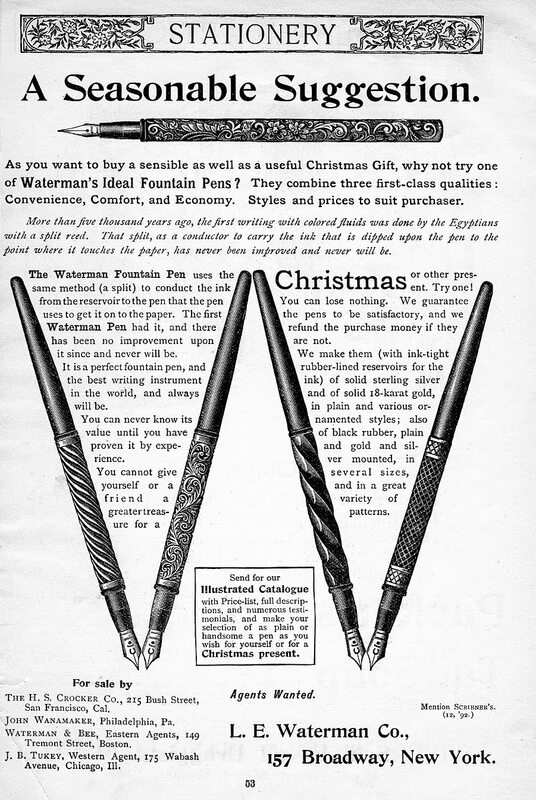 Waterman Ad. 119 years old. "....a sensible as well as a useful Christmas Gift..."
Thanks for posting the ad, Derek. Best wishes to you & yours for a joyous holiday season and happy 2012!